I have been the Library CEO at Temiskaming Shores Public Library for the past twelve years, having moved from Nova Scotia in 2006 for this position. 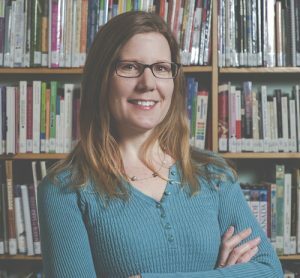 I have a Master’s degree in Library and Information Studies from Dalhousie University and 18 years’ experience working in a variety of libraries. I am a Northern Caucus representative on the Federation of Ontario Public Libraries board of directors, and I chair the Northern Lights Library Network. I enjoy living in Northern Ontario with my two daughters and take advantage of the hiking, camping, canoeing, cross-country skiing and skating available to us here.